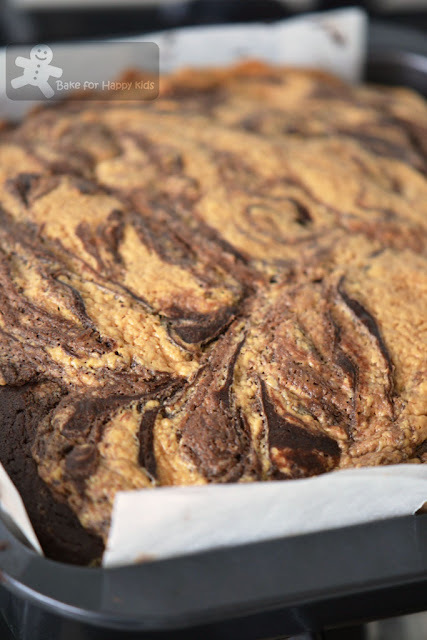 Unlike the disappointing chocolate marbled cake that I've baked previous, the swirls of these Peanut Butter Swirl Brownies look pretty good to me. I'm so glad that I've redeemed myself with this bake... LOL! 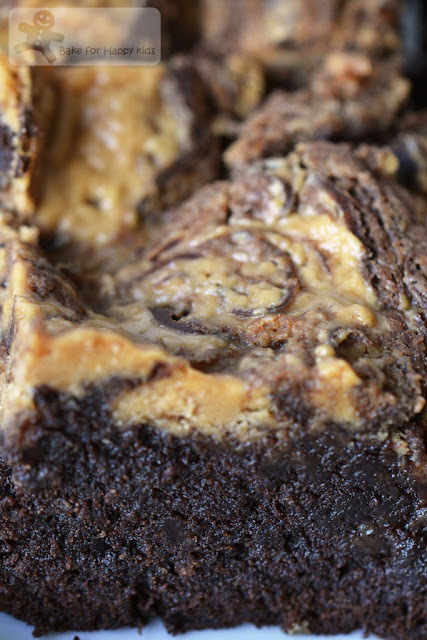 These peanut butter brownies are superb! With a nice balance of saltiness from the peanut butter, the cakey kind of brownies are very delicious with its moist and richness in chocolate flavours. I always thought that I have been baking well using the most premium chocolate that I can find at the local supermarkets... not until when I saw an issue of Donna Hay magazine suggesting the use of Callebaut, Belgium finest chocolate to bring our daily chocolate bakes to the next higher level. I was using Lindt cooking chocolate (70% cocoa) to bake my peanut butter brownies and wonder the use of Callebaut or Valrhona chocolates can make any significant difference in my chocolaty bakes. As I was shopping online for these chocolate ingredients, I was shocked to learn that these chocolates and cocoa powder are not cheap at all in Australia and can cost up to hundreds of dollars if I have to use them for all my intensive baking... Great!? Feeling a big pinch, I thought maybe I should write to Santa..."Dear Santa, I wish for a year supply of Valrhona or Callebaut chocolates for 2013. Love, Zoe" - LOL! "Fans of fudgy brownies say this is the recipe of their dreams" - This is the description of the Double-Chocolate Brownies recipe in the book, Martha Stewart's Cookies. "The better the quality of chocolate you use, the better the results." - This is another description of the same Double-Chocolate Brownies recipe at Martha Stewart's website. Seeing this, I need my supply of best quality chocolate NOW and so I have decided to be my own Santa, buying Callebaut chocolates for this Double-Chocolate brownies bake. The Callebaut chocolates that I bought are the cocoa powder (alkali- or Dutch-processed) and dark cooking chocolate with 58% cocoa and I'm excited to use these chocolate to bake this heavenly brownies. After tasting the difference in Lindt and Callebaut chocolates, we are becoming "fussy chocoholics" and prefer baking with Callebaut chocolates... "Dear Santa, I wish for a year supply of Valrhona or Callebaut chocolates for 2013, 2014, 2015 and many more years. Love, Zoe" - LOL! My freshly baked brownies... Yum! Callebaut cocoa powder sold in 1 kg only! No worries with my intensive baking, I can use up this very quickly! I must remember not to over-bake these brownies. Light sugary crispy top outside. 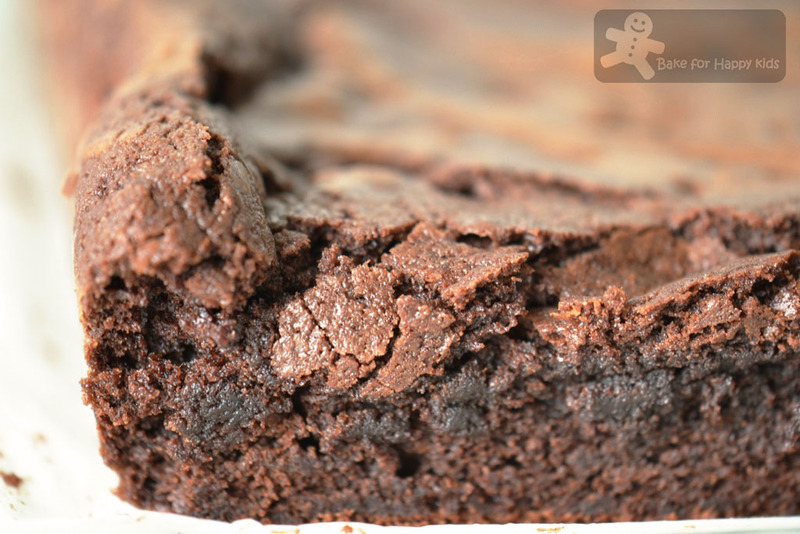 Moist, chocolaty and extreme fudgy inside. This is indeed my dream recipe! Here are the recipe from the book, Martha Stewart's Cookies or her website. Preheat oven to 325°F. Butter an 8-inch square baking pan and line with parchment, allowing a 2-inch overhang. Butler lining (not over-hang). 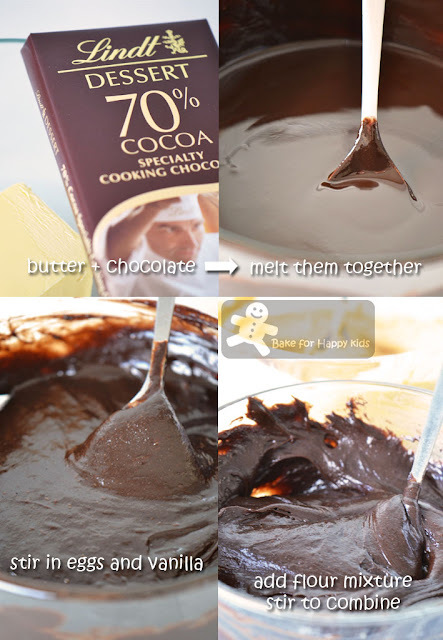 Make batter: Put butter and chocolates in a heatproof medium bowl set over a pan of simmering water; stir until melted. Let it cool slightly. Whisk together flour, baking powder, and salt in a bowl. Whisk granulated sugar into chocolate mixture. Add eggs, and whisk until mixture is smooth. Stir in vanilla. Add flour mixture; stir until well combined. Pour one-third of batter into prepared pan; spread evenly with a rubber spatula. Drop dollops of peanut butter filling (about 1 tbsp each) on top of batter, spacing about 1 inch apart. Drizzle remaining batter on top, and gently spread to fill pan. Drop dollops of remaining peanut butter mixture on top. 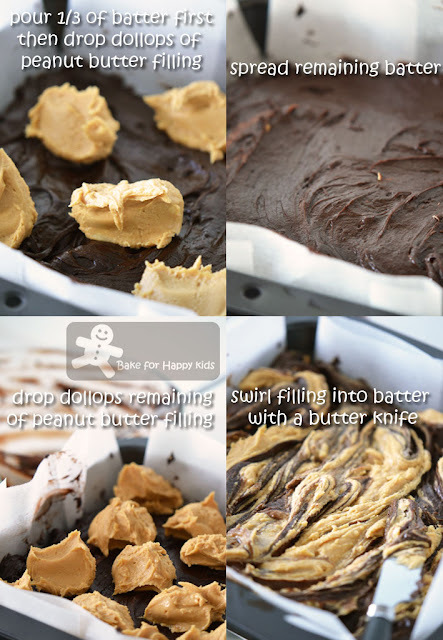 Gently swirl peanut butter filling into batter with a butter knife, running the knife lengthwise and crosswise through layers. 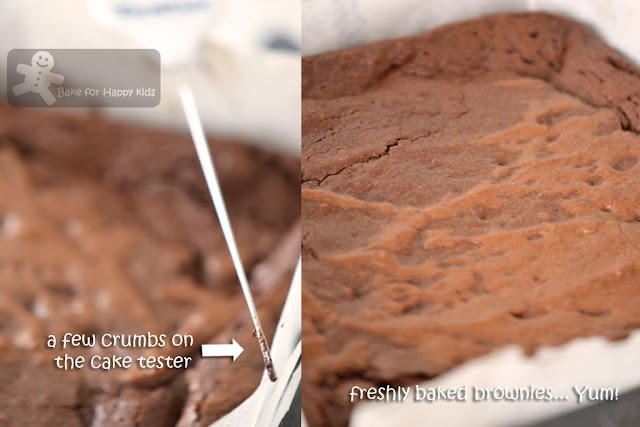 Bake until a cake tester inserted into brownies (avoid center and edges) comes om with a few crumbs but is not wet, about 45 mins. Let cool slightly in pan, about 15 mins. Lift out; let cool completely on a wire rack before cutting into squares. Brownies can be stored in an airtight container at room temperature up to 3 days. How to marbleize brownies: Use two large spoons to drop dollops of filling over a base of chocolate batter. Add more batter on top. then more dollops of filling. Drag a butter knife back and forth with the tip touching the bottom of the pan. Preheat oven to 350°F. Line a buttered 8-inch square baking pan with foil or parchment paper, allowing 2 inches to hang over sides. Butter lining (excluding overhang); set pan aside. Put sugar, eggs, and vanilla in the bowl of an electric mixer fitted with the whisk attachment, and beat on medium speed until pale, about 4 min. 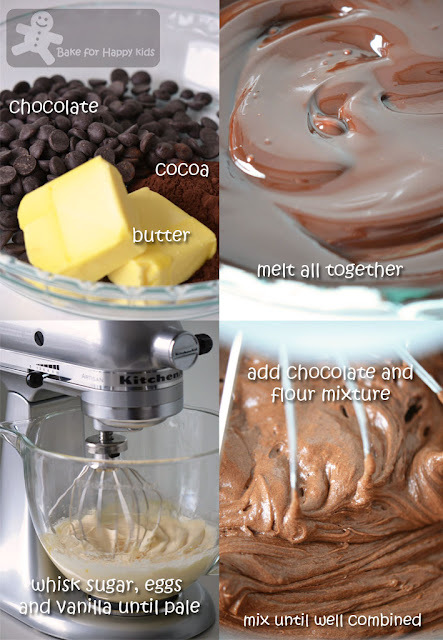 Add chocolate mixture; beat until combined. Add flour mixture; beat, scraping down sides of bowl, until well incorporated. Pour batter into prepared pan; smooth top with a rubber spatula. Bake until a cake tester inserted into brownies (avoid center and edges) comes out with a few crumbs but is not wet, about 35 min. Let cool slightly in pan, about 15 min. 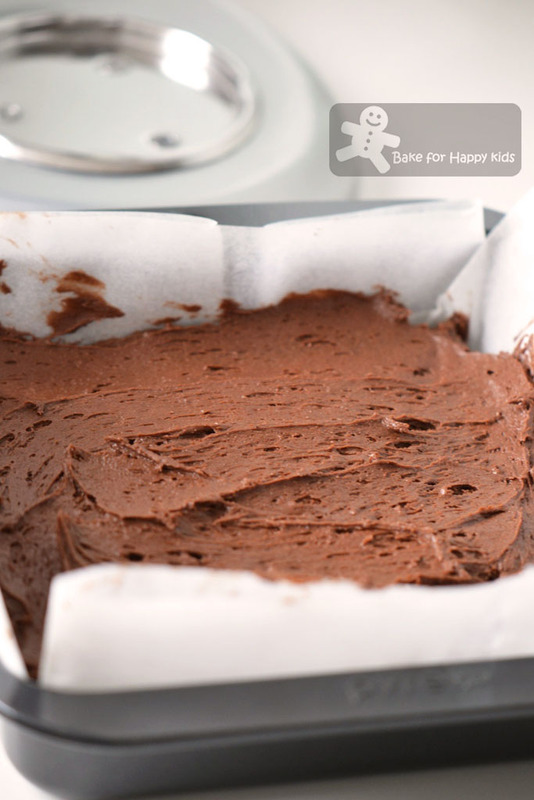 Lift out brownies; let cool completely on a wire rack before cutting into squares. Note: Using the full amount of this recipe, I have baked my brownies at 160°C fan forced for 30 min. We've just put up the christmas tree and stockings, I should put your brownies into my wish list. Heavenly brownies sounds too good! 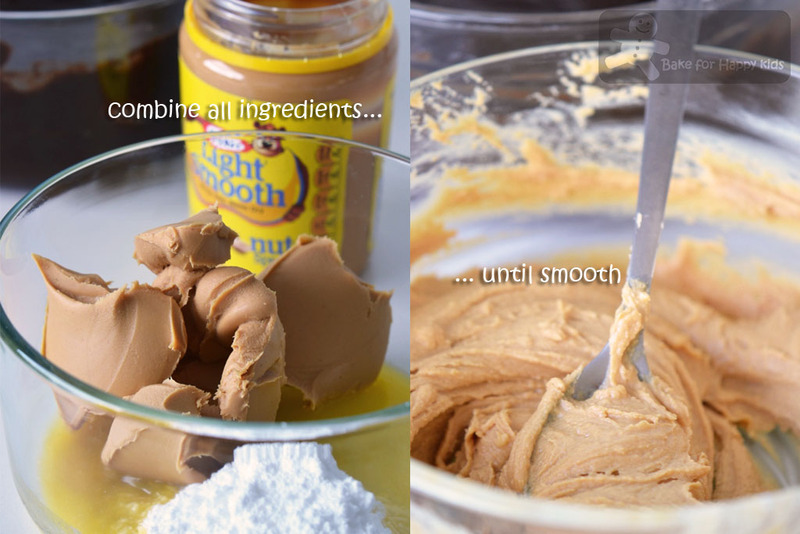 Oh lovely, peanut butter and chocolate - the perfect sweet / salty combo. Gorgeous! Scrumptious looking brownies! I have "to bake brownies" on my list, but I can not decide what recipe to use. Yours looks very tasty, I think my kids would like this version. Oh looks great Zoe! It's very hard to find high quality chocolate in normal baking shops here too, and they costs a bomb if we buy it from the higher end supermarkets. I also made a brownie using Martha Stewart's recipe, have to say we love it! Really good chocolate is expensive., isn't it? 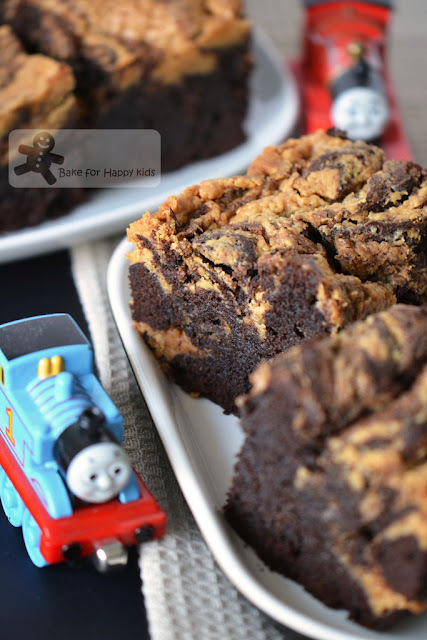 I love these two recipes i know my sons will love the peanut butter brownies, so i'll bake them at the weekend. there is a Martha Stewart recipe I usually make at Christmas, so I'll try to link in with your blog hop. Both of these brownies look absolutely to-die-for!! I can't get over how delicious both of these recipes look! Peanut butter and chocolate is a match made in heaven. I love this combo to the max! Hi Zoe, Thanks for stopping by my blog…it’s so nice to meet you and your blog! These brownies are amazing…I know they would be a hit in my house! if you said that these chocolates are expensive, i think it's even more expensive here. I dont think i've seen callebaut choc here in my hometown, maybe they have it in kl, ooh, they sound so exclusive! LOL! both your brownies look wonderful! I bought my chocolate mainly from two shops. One is from an Australian online shop called Paragon, cheaper than most shops but postage cost added on to my cost. Another is from a shop called the Essential Ingredients which are very expensive but doesn't require postage. 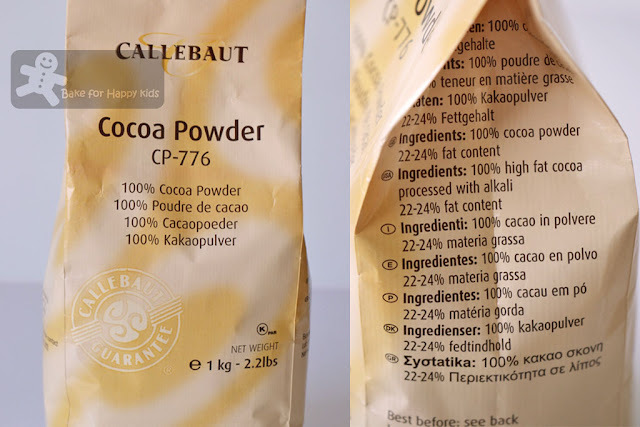 Callebaut cocoa powder, 1 kg is about AUD$28 from shop (AUD$22 online w/o postage.) Valrhona cocoa powder, 250g is about $15 (online w/o postage). Callebaut chocolate (56% cocoa), 500g is $15 (online w/o postage) and about $18 (from shop)... Hope I can remember the prices right... I guess the prices from Australia and HK are about the same... Hope that Santa will response well to our messages... LOL! wah~ This looks amazing and must taste amazing as well! WOW! I can almost taste the goodness and they are Good! Best chocolate/cocoa powder will be very costly over here. We can get good quality chocolate in Brunei though. Brunei is just across the broader but the currency is like BN 1.00= RM 2.50. But i agreed that best chocolate gives a distinct taste to the end result of the bakes. Just awesome. wow Zoe, the brownies are amazing. I wonder if i could find callerbaut cocoa powder here. Doubt it. Tough to get good cooking chocolate here. the search is continues. I particularly like the brownie with peanut butter. Perfect combo and sinfully satisfying! Hey Zoe! Both brownies look amazing and I'm so excited to try the peanut butter chocolate ones. I mean the brownies look so dark and rich! I love brownies, they are my weakness and I can literally eat a whole pan of them (though I have more restraint than that). I'm making the chocolate coconut pie tomorrow and will post it next week. When should I link up for the blog event? Should I link up now or next week before I post? You can just reply below and I will check back tomorrow! Ok, off to get ready for bed. It's been a long day! You can link up with us after you posted it. Our linky ends on 31st Dec and so no worries with the timing, we will have plenty of time to bake, blog and link. I'm happy to include you in the link even if you are slightly late. Just let me know. Cheers. My baking right now is so much more fruit oriented and less chocolate oriented!! YUM! I LOVE Callebaut but can never seem to afford the stuff--lucky kids...these totally look sinful and delicious! Zoe, do a price comparison in Singapore next time! After reading your peanut butter swirl brownies, now I so feel like licking on my bottle of peanut butter, hahaha! Are you still coming to Sydney in Dec? Wishing you & your family a Merry Christmas & Happy New Year(3 weeks in advance). Yes... I'm going to Sydney during Christmas break. Will you be at Sydney at that time? Will email you to chat further. Jeeezzz.. Zoe, these looks incredible. I LOVE LOVE the last picture that gets really up close and personal with the brownie. Delicious! Zoe, this look so tempting. Great to serve on Christmas day. 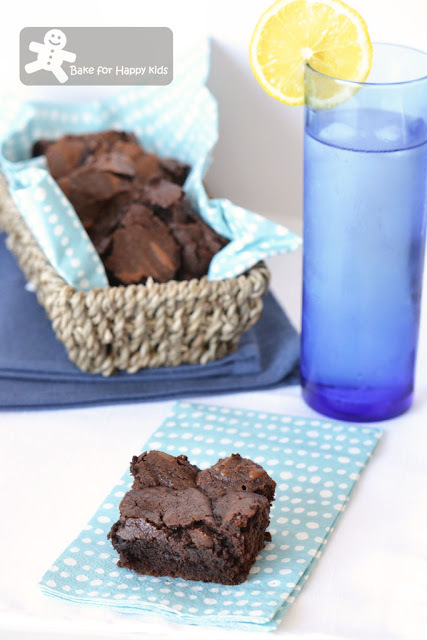 Your brownies looks super delicious! 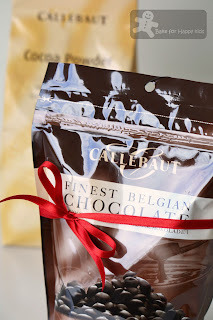 I myself would love for Santa to bring me a bagful of Callebaut too, make that a sackful! Have seen the choc over here, but it would burn a hole in my pocket! Wow! You are a brownie making machine! These both look fantastic! This is death by chocolate literally! De-li-ci-ous!! !